Davvenen Leadership Opportunities at ALEPH Kallah! Planning for the 2013 ALEPH Kallah is well underway! We have chosen a beautiful retreat-like site at Franklin Pierce University in stunning southern New Hampshire. 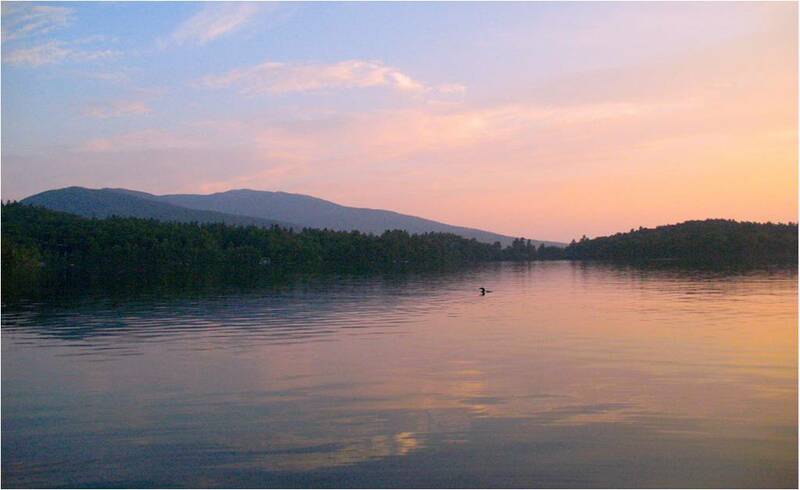 This year’s Kallah will nestled at the foot of Mount Monadnock,on the shores of Pearly Pond where we can swim, kayak, sail and enjoy the sun,while we sing, pray, laugh and learn together! In addition to our lovely location, we are showcasing fabulous new classes, offered by some of the best teachers Kallah has ever had. Kallah will again feature fabulous evening entertainment, amazing programs for children & teens (including our unique pre-b’nai/b’not mitzvah program); talented healers in our Healing Center; first class books and crafts in the Gift shop; and an expanded programs empowering younger leaders and linking the generations. For more information, and to check for early registration, go to the Kallah website. The ALEPH Kallah, a biennial festival of innovative Jewish spiritual practice and study offered by ALEPH: Alliance for Jewish Renewal, is actively soliciting proposals for leadership of weekday Shacharit (45-60 min), Mincha (20-30 min), and Maariv (20-30 minutes) services. This dates of the Kallah are July 1-7, 2013 at Franklin Pierce University in Rindge, NH. Each morning, participants will have many options available for different davennen experiences. Examples of modalities often offered are: Traditional-egalitarian davennen, Learner’s minyan, Chanting, Meditation, Dance and/or Movement, Yoga, Healing. A mix of these, and more. We encourage sharing of new practices, and to use this as an opportunity to have a laboratory for your evolving work. Let’s keep renewing Renewal! Davvenen leaders are needed beginning Monday morning Shacharit July 1 (pre-conference for teachers/staff) through Sunday morning July 7 Shacharit. Morning davennen has staggered start times from 6:30 to 8am. In the past, we have scheduled between 5-8 different offerings during that time period. There is one service offered for Mincha and Maariv. Siddurim will be available (Rabbi Daniel’s Siegel’s “Kol Koreh” and Rabbi David Zaslow’s “Ivdu et HaShem B’Simcha”), or you are free to ask people to BYOS (Bring Your Own Siddur), and/or you can use your own handouts. Torahs will be available for Thursday davennen, but not all Thursday offerings need include a Torah service. The Kallah will make arrangements to make 20 photocopies of up to 6 pages (6 sides) of handouts for each davennen program, as long as originals are submitted by the deadline (TBA) per our instructions. We strongly recommend that you consider co-leading a service. Is there someone you’d like to co-lead with? Send in a proposal together. Skilled at reading Torah? Let us know and we’ll pass that information on to the Thursday and Shabbat leaders. send to Kallahdavvenen2013@yahoo.com by April 15. The davvenen schedule will be finalized no later than May 15. Leaders receive an honorarium of $36 per service, which is split between co-leaders. There is no compensation for Torah readers other than our profound gratitude! a) Briefly describe your experience as a davennen leader (if you have led in the past at either Kallah or Ohalah go to Question 4c. b) Have you participated in DLTI and/or any other training program? c) Have you led davvenen in the past at either Kallah or Ohalah? 6. Are you interested in leyning? Questions? Email kallahdavvenen2013@yahoo.com or phone 202-362-3270. between 9am-9pm, EST. Thank you in advance for lending your talents. I look forward to co-creating an amazing Kallah together! Posted in General Interest, Learning Opportunties and tagged ALEPh, aleph kallah, jewish events, jewish renewal, jewish retreats, Kallah, Rabbi Zalman Schacter Shalomi. Bookmark the permalink.